Mind Relaxation Australia’s phone treatment system allows you to receive full service treatment regardless of your location. You can be treated from the safety and comfort of your own home. Some clients receive treatment at work while on a break, parked in their cars, and when overseas. Phone treatments have proven to be more convenient, more effective and deliver stronger results with anxiety, depression and destructive thought patterns than traditional attend treatments. They are safer than attend treatments and do not risk triggering panic. Phone treatments are now our standard treatment method for these reasons. The treatment is intended to directly relax the mind using intuitive energy healing methods, to release emotional blockages that prevent emotional relaxation and deliver significant subjective improvement with suffering and emotional concerns that can be helped through deep relaxation of the mind. Please be prepared for your appointment, so no valuable treatment time is wasted in setting up after your session has started. The system can use your phone, but if you prefer you can use a tablet, laptop or desktop device as long as it has internet access. Whatever you choose, we will call it your “device”. Book a Trial treatment: Be aware that your first appointment is a trial session to assess the effectiveness of our methods for you. Register interest to be contacted, book online, or contact us to arrange a time. Organise a quiet place to relax where you will not be disturbed. Your bedroom is ideal, but any quiet location with a bed, couch or very comfortable reclining chair will do. The room should be dim or dark to help you relax. You need internet or data reception and enough charge on your device to last for the entire 1 hour appointment. Internet is needed to access our assessment tools and background music. Have earphones plugged into your device. Install Viber on your device: Viber is a free secure communications app with low data usage. Viber uses 14mb per hour, so just 1gb of phone data would provide over 17 hours of talk time. We use Viber for messaging, treatments and confirming appointments. Viber encrypts calls making them secure and it allows background music to be played while on a call. 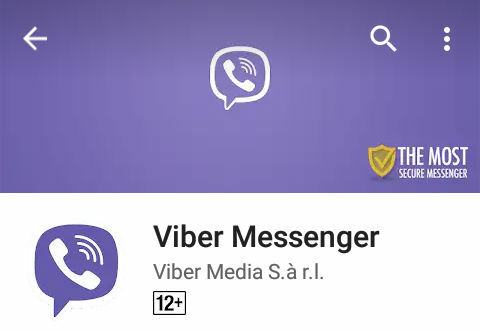 You can install it from google play (on phones and tablets), and it can also be installed on your pc from https://www.viber.com/. Credit card to make BankSA MOTO payment over the phone. You can also make an account transfer prior to the appointment. In the unlikely event that the TRIAL does not deliver immediate significant improvement in your emotional well-being then a refund is offered at the end of that session. Have the assessment tool ready: Open http://www.mindrelaxation.com.au/a/ in your browser on your device. You will be asked to open it while on the call. Your password will be provided at the time of your appointment. What to do: First be organised and ready, follow your practitioners instructions. When you are assessed, all you need to do is rate how you feel on the provided tools without providing details, excessive talking will reduce valuable treatment time. It is important to choose to relax and let go! The treatment will often bring up all kinds of thoughts in your mind, just go with it and allow the emotional tension around those thoughts to dissipate. If you mentally resist treatment then you will not get a good result. Please be ready and open to release. If you can’t shut down your regular thought patterns during the session, please inform your practitioner. If you feel yourself drifting off, please allow it to happen. What to expect: This is a very easy treatment to receive. Your practitioner may not talk to you while running the treatment process, so don’t expect to be talking. It is normal to become very relaxed and feel many of your concerns simply going away. Sometimes during the treatment you may drift into a deep meditative state. You may also feel itching around the face, see colours or visions, and feel various sensations such as floating, tingling, heat or cold, or body parts going numb. You may have various odd thoughts go through your mind and re-live past experiences. If you feel nothing by the end of the treatment, then you are not sensitive to our treatment and you will be refunded. We suggest you read other client’s reviews for more information on the experience of being treated. 1. Changing psycho-therapeutic medication or dosage in the assessment period – rescheduling is recommended. 2. Increasing medication after the Trial due to temporary side effects. 3. Stopping or starting a different treatment in the assessment period – rescheduling is recommended. 4. Going from work to a holiday in the assessment period or vice-versa – rescheduling is recommended. 5. Skipping the free consultation due to feeling OK – many clients contact us later and then require re-assessment. 6. Doing the Trial on a day when you feel unusually good – rescheduling is recommended. 7. Ceasing psycho-therapeutic medication because you feel good after the trial – this is very dangerous and should not be done unless recommended by your medical practitioner! Be organised and ready! Make sure you are ready as per the instructions on this page before your appointment or it may be wasted! The most likely effect of the first treatment is a significant immediate improvement in emotional well-being. Over a period of 7 days it is likely that a portion of that improvement is retained. The next most likely outcome is that the treatment will have no effect at all. In this case it will be declared ineffective and no payment is required. Another possible outcome is that the treatment will deliver immediate significant improvement however that improvement is temporary or poorly retained, or that there is no immediate significant improvement however the client steadily improves after treatment. This response is more complicated and your practitioner will give further advise at the free consultation on options for further assessment, proceeding or dropping out of the assessment process. Side effects are not common but can occur. They include headaches, strange thoughts and dreams, feelings of grogginess (often described as feeling drunk), and numb feelings. They usually last a maximum of two days and are usually associated with a very strong positive response overall. Aggravating panic attacks is a risk with attend treatments but has not been a problem with phone treatments. There is nothing wrong with skepticism. Being reasonably skeptical is an excellent safeguard against wasting time and money on ineffective approaches. We encourage our clients to apply healthy skepticism in the effectiveness of our methods and only work off noticeable and measurable improvement. The reality is that our methods work for some people and not for others. There are several problems with skepticism however that could adversely impact on a client’s result. Don’t focus on the method over the results. It is important for clients to remain open minded about our methods, but not open minded about the results experienced. Some clients focus on trying to understand every detail of what we do instead of simply letting us apply our methods. These clients experience a much lower success rate because they make it hard for us to work. When the treatment works, don’t abandon the process because it is hard to understand. Most clients report experiencing significant improvement but do not understand how or why. This is normal with Mind Relaxation Australia. Some clients abandon the process when it does deliver improvement simply because they can’t understand how it works. Again we ask skeptical clients to focus on their results and not on the methods. Intuitive energy methods are nearly impossible to explain.